Marks and Spencer were kind enough to let us try some of their fabulous new summer sweet treats range. 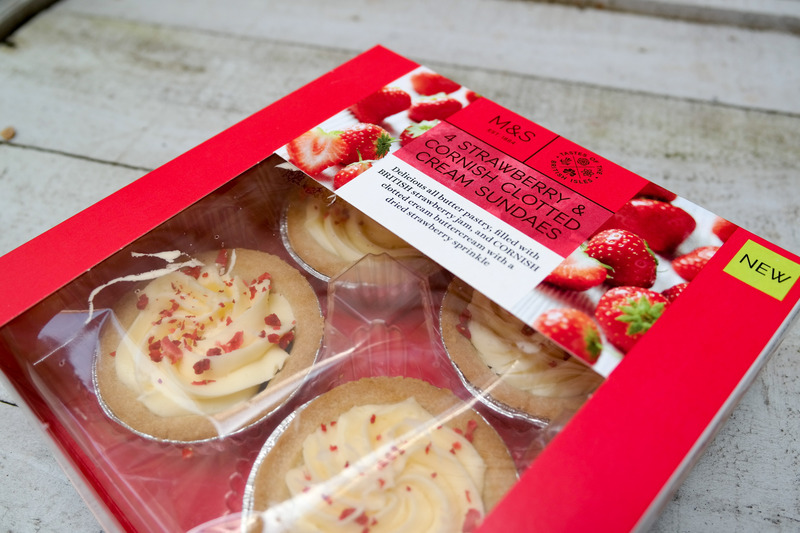 With summer in full swing and bbq’s happening up and down the country there isn’t a better time to pop into store and grab some of these delicious treats. 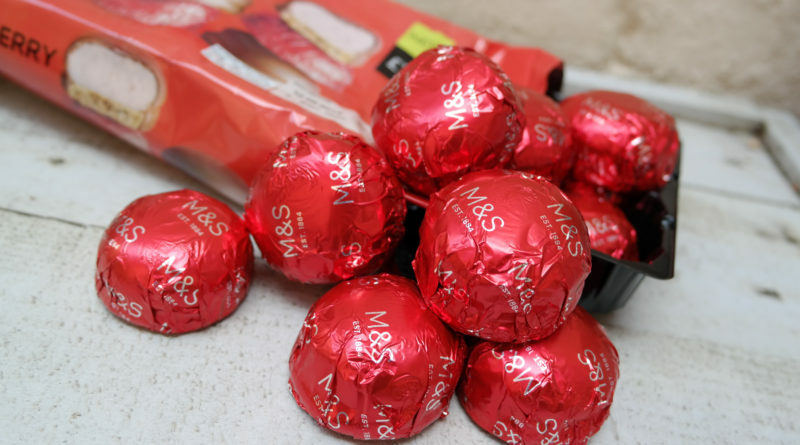 This year Marks and Spencer released a new choice in their teacakes range. 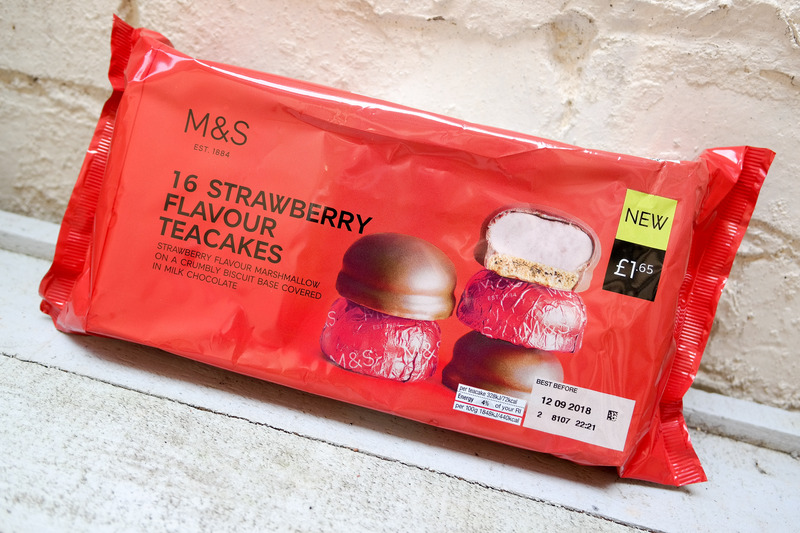 Delicious strawberry flavoured teacakes. 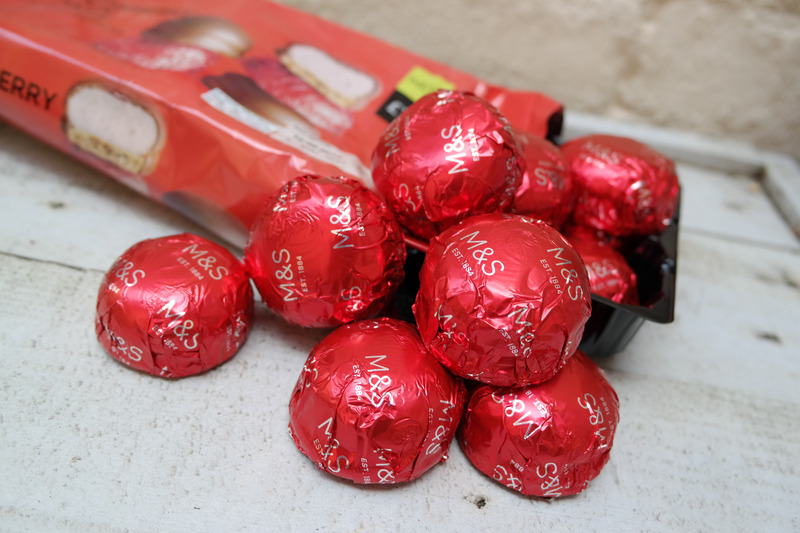 Individually wrapped and come in a massive pack of 16! 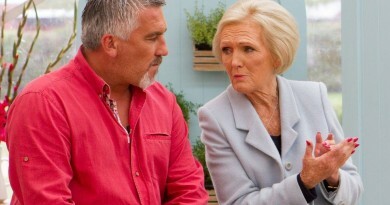 There are loads of baked treats to choose from too. Strawberry and Cornish Clotted Cream Sundaes. Delicious all butter pastry filled with British strawberry jam and Cornish clotted cream buttercream and sprinkled with dried strawberries. Incredible!! 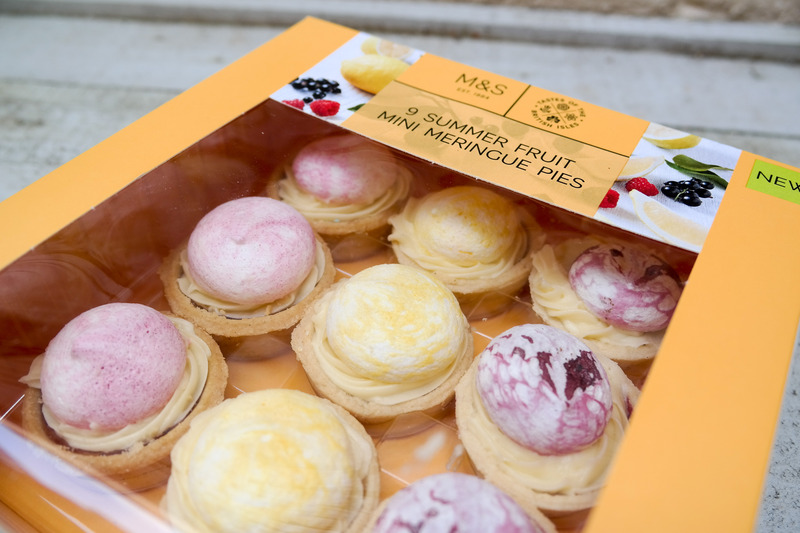 Or why not try the 9 Summer Fruit Mini Meringue Pies. These are both incredibly delicious and beautiful. Such a lovely range of colours for the summer. 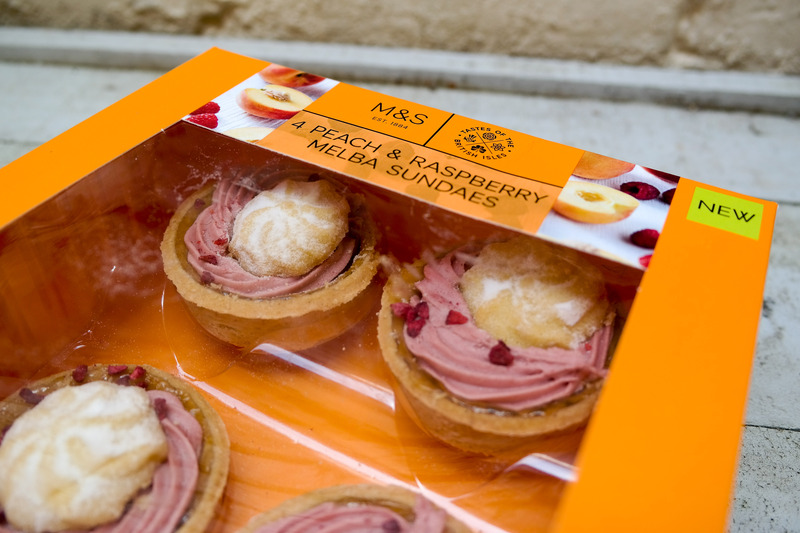 Peach is a key flavour this summer it seems and Marks and Spencer have created delicious Peach and Raspberry Melba Sundaes. 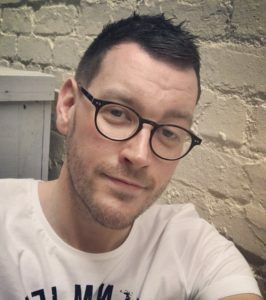 It’s also all about the cookies this summer in the Marks and Spencer range. We tried three of the new varieties and they are all as good as each other. Treat yourself to these super indulgent deluxe cookies. 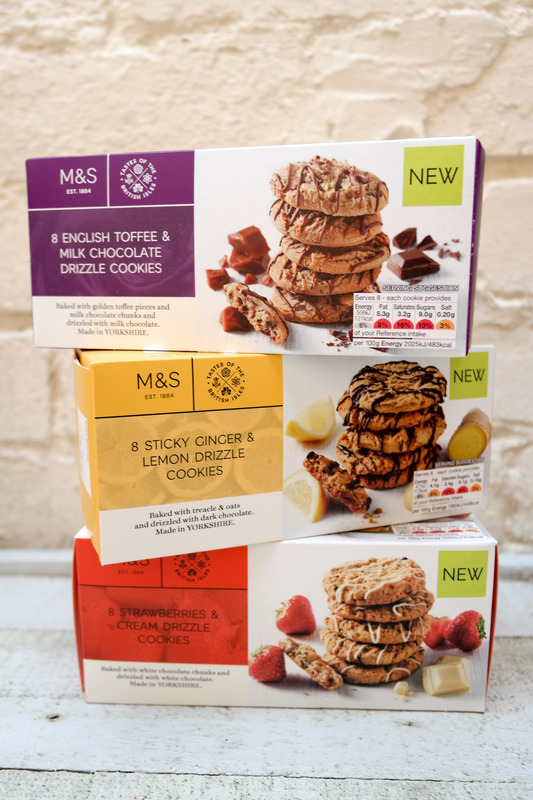 In the range there are Chocolate Coated Salted Caramel Cookies, Strawberry and Cream Drizzle Cookies and English Toffee and Milk Chocolate Cookies. 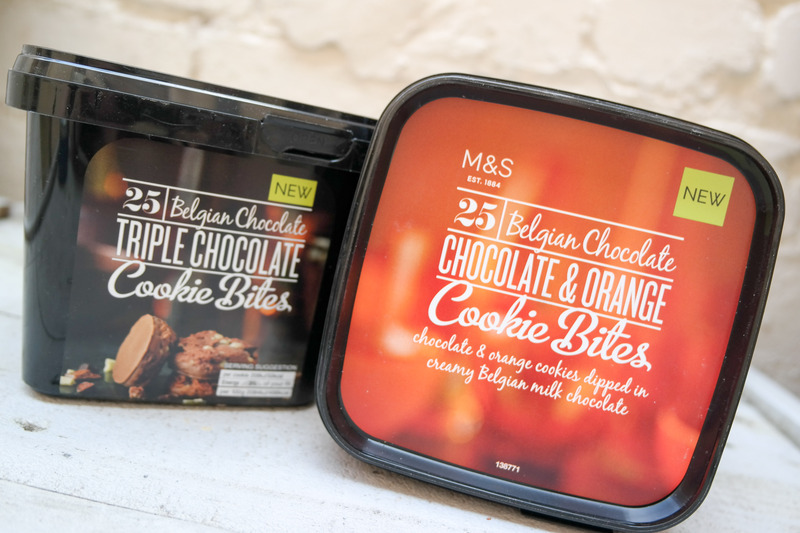 Marks and Spencer also have some tubs of cookies including the Triple Chocolate Cookie Bites and Chocolate Orange Cookie Bites. 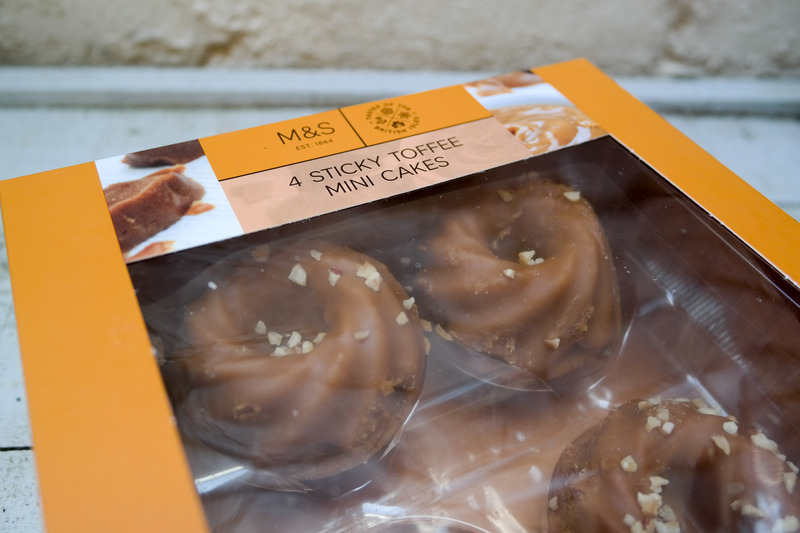 One of our favourite items in the summer range is the Sticky Toffee Mini Cakes. These are not new this year. 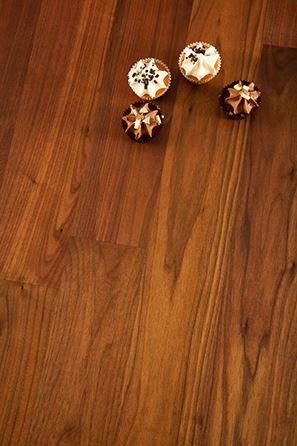 They were released last year however they remain a firm favourite of ours. 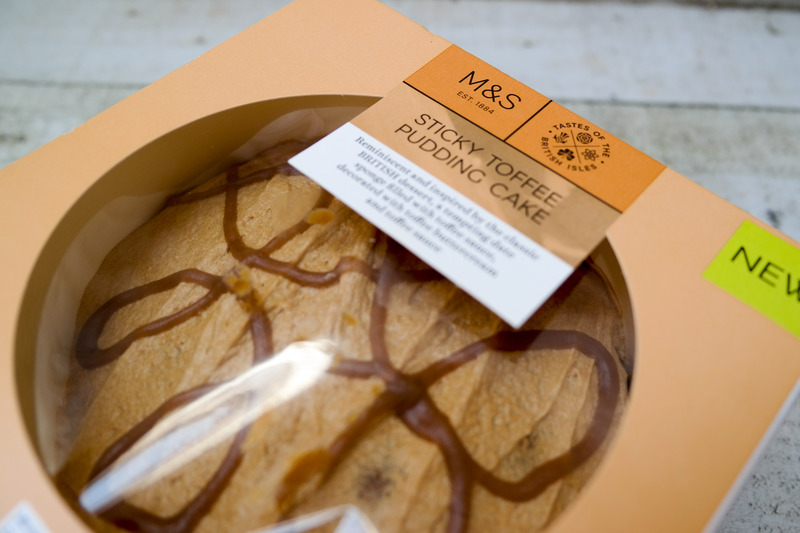 This leads onto a new cake from Marks and Spencer which we think is even better than the mini cakes. The Sticky Toffee Pudding Cake. A firm British favourite, in the form of a cake. Whats not to love!! 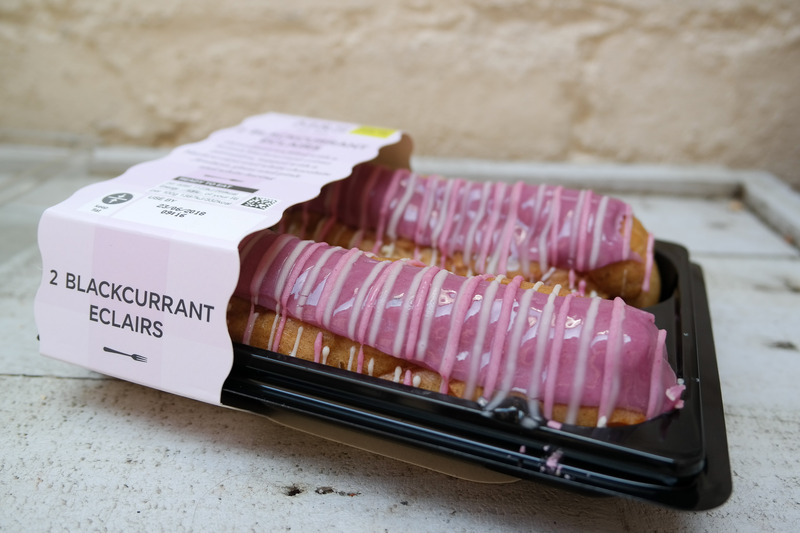 There are also some fresh pastries in the range including two new varieties of eclair. 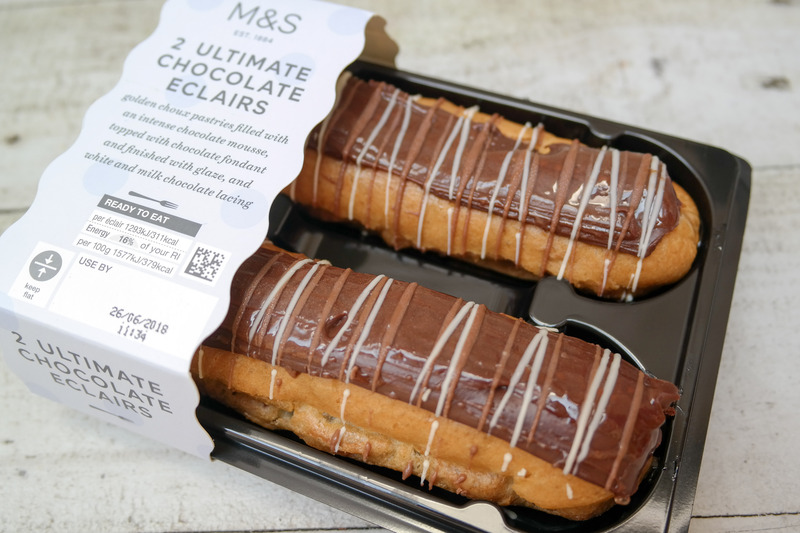 Ultimate Chocolate Eclaires and Raspberry Eclaires. Now these really are a summer treat! !